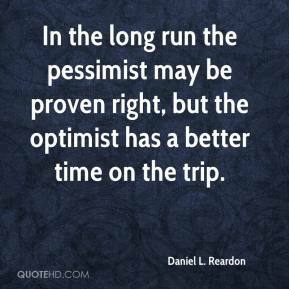 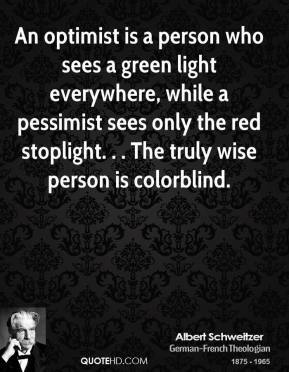 In the long run the pessimist may be proven right, but the optimist has a better time on the trip. 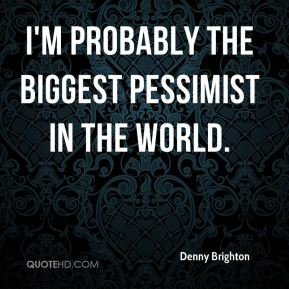 I'm probably the biggest pessimist in the world. 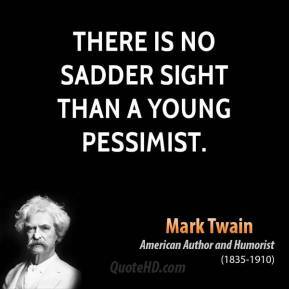 I'm gloomy. 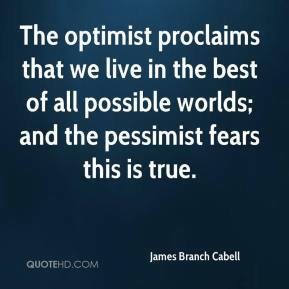 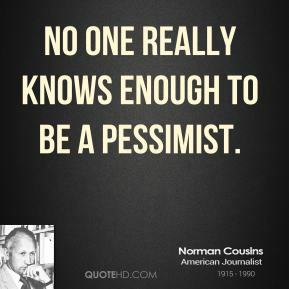 Not that I am a pessimist but we leave problems unsolved and keep tripping over them for decades. 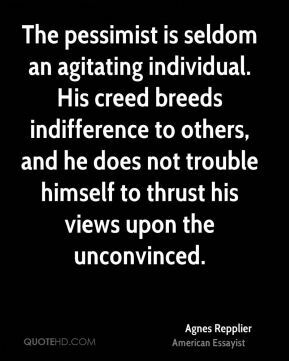 The poison of nationalist ideology is spreading along with a confrontational mood. 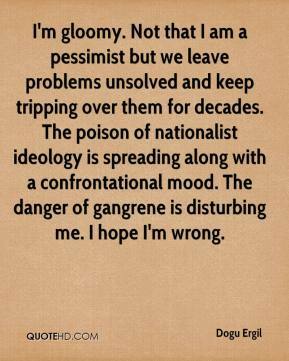 The danger of gangrene is disturbing me. 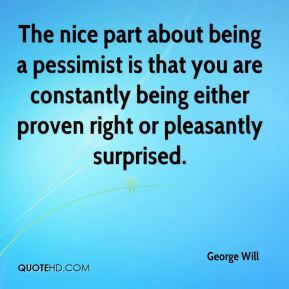 I hope I'm wrong. 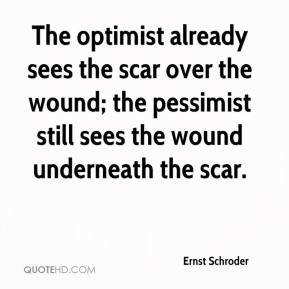 The optimist already sees the scar over the wound; the pessimist still sees the wound underneath the scar. 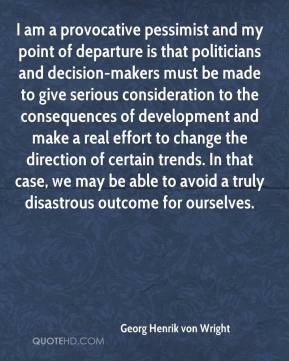 I am a provocative pessimist and my point of departure is that politicians and decision-makers must be made to give serious consideration to the consequences of development and make a real effort to change the direction of certain trends. 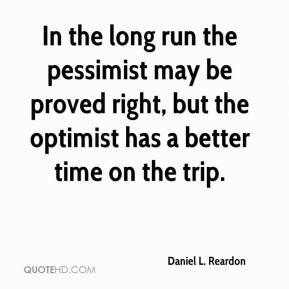 In that case, we may be able to avoid a truly disastrous outcome for ourselves. 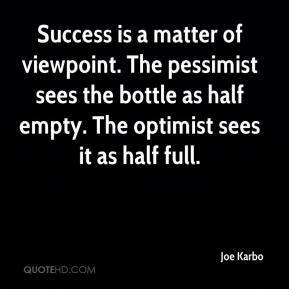 Success is a matter of viewpoint. 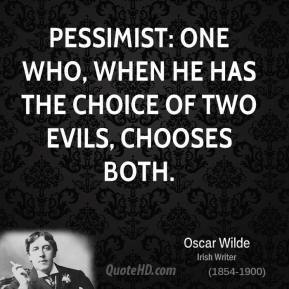 The pessimist sees the bottle as half empty. 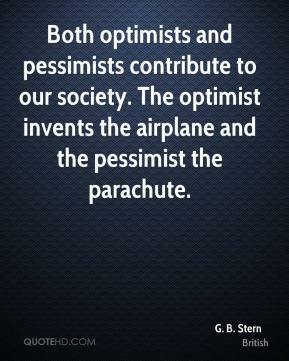 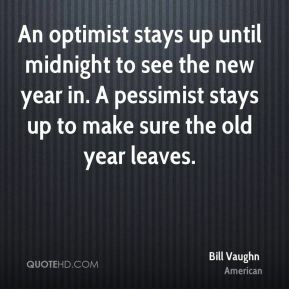 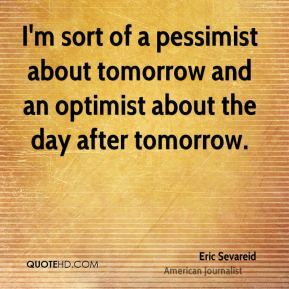 The optimist sees it as half full. 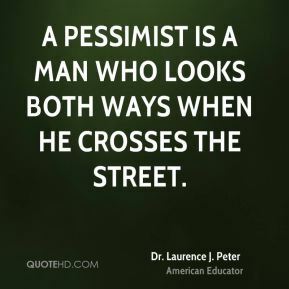 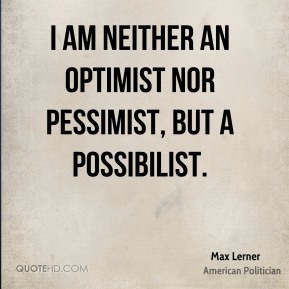 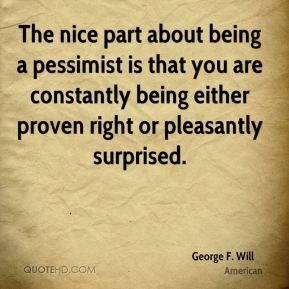 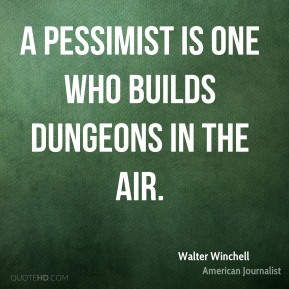 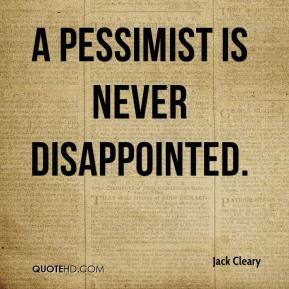 I could have been a pessimist - I went for that same job. 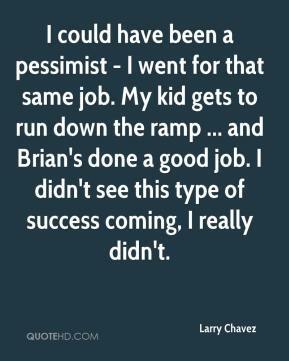 My kid gets to run down the ramp ... and Brian's done a good job. 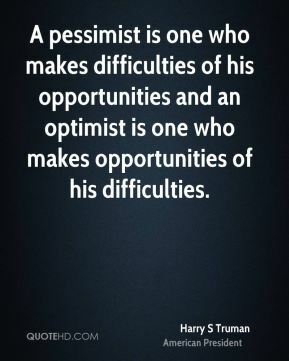 I didn't see this type of success coming, I really didn't. 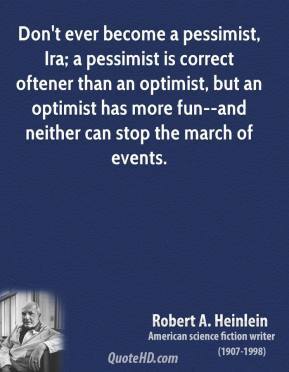 Don't ever become a pessimist, Ira; a pessimist is correct oftener than an optimist, but an optimist has more fun--and neither can stop the march of events.